This one is coming from the vault… Back in September, when I was busy with the 31 day challenge, I forgot to copy my galaxy nail pictures from my camera. 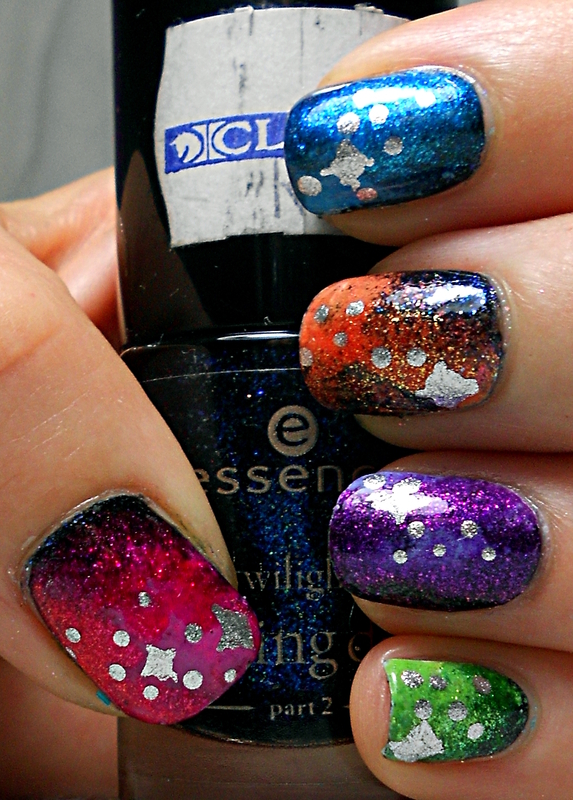 Not wanting to miss a day, I posted some pre-blog galaxy nails which were never meant to see the light of day. Somehow, I never got around to posting the galaxies I’d actually done for that day… Until now! I decided to make each nail a different colour, which meant I used a LOT of polishes. I have seen some incredible galaxy nails and these can’t compare, but I was pretty happy with them at the time – perhaps just because I love being colourful!